I’ve had a tough week. It’s spilled over into this week, with my feeling “under the weather”, and not “on top form”. It’s been quite a while since I felt like this. I’d put it down to the hours I’ve been putting into my business recently. However, after a conversation with Dale Darley about journaling on Friday, I realised that actually, I was holding things in, and that’s what was aiding my ‘tiredness’. Then on Sunday, when I was with my family for a wonderful weekend away, I was grumpy and broke down in tears, to be comforted by my 16 year old son, who I told, “I miss my Mummy” by way of explanation. I attended a train the trainer session on Wednesday, (see how my week has had a flow to it? ), to allow me to train others to support people suffering grief and loss. I had no idea that I would be hit so hard by this. I support other people as a business, and volunteer, friend and mentor. I should be strong and be able to let go of all my grief and loss shouldn’t I? “I must be strong, so that I can help others”, is what my head says. And then another little voice says, “well that’s OK, but who’s supporting and helping you?” That’s when I turned inwards. Not to ignore the voice, but to reflect on it. You see, I guess I’m still grieving for my Mum who died, age 65, in May 2009. She was an amazing woman, loved by so many, who really could wear the SuperWoman motif. Everyone said so. She touched the lives of so many. She was very special. Not just to me and my brother. I’ve grieved over the years. I’ve let her go. I have wonderful memories, of happy times and so much love shared. It was interesting that I shared about my Mother in Law not realising her son’s needed support as they’d lost their father too. What I didn’t say out loud at the time, was that I’ve never felt my Dad realised I’d lost my Mum. Not because he’s died, but because he’s changed. He’s not the person I grew up with, and I miss the father I knew for 38 years. I don’t need you to know the details, just that I’ve not allowed myself to grieve this loss in the same way as I have my mother. Over the past 9 years, I know I’ve tried to put a ‘brave face’ on things, and when with family and family friends who loved my Mum and Dad, who are also grieving their loss of two people, and not just one. It’s been hard. To start with I tried to explain his behaviour away with “I’m sure it’s just a phase”, but after almost 9 years, I know I have to let him go too. That’s so hard 🙁 To let someone go who is still alive, who you love, and always enjoyed their company. We had so many happy times. I know many people lose people in life to illness. I feel your pain. I think it would have been easier to accept if he’d had a diagnosed illness, rather than a personality change! During the training last week, and then again in a workshop I hosted on Monday, led by the lovely Simona Frumen, for my Business Club members, I realised that I was also suffering loss of people I’d had a very close relationship with over the past few years. Whilst I’ve just “got on” with life, during the workshop I shared that the hardest part I’d found, was that they hadn’t wanted to have a conversation about the ending of our business relationship. Friends, I know, sometimes come and go. We ebb and flow with some people, whilst others are constant in our lives, and the bonds are so strong you know you have a shoulder to cry on, or arms to hug you, whenever you need them. But this relationship I lost last autumn had been very special to me. It was intense in it’s starting and growing. And it was a surprise quick ending for me. I guess the grief has finally caught up with me on this one. Whilst I’ll never understand this ending, I can put it in perspective in my life through my own journaling, and letting myself. There’s all sorts of areas of loss in our lives. The training last week had me thinking about a lot of different things – confidence, home, momentoes, jewellery, esteem, identity, friends. Have you lost anything that you haven’t grieved yet? This last week has shown me I must take time to reflect, and be honest with myself. I’m very good at helping others to reflect and learn to help them move forward. It’s time I took my own advice! It was hard. Probably the hardest one after the first one 8 years ago. I guess as my awareness had been raised over the previous week in the training and conversations, that I was more open and raw than usual. There’d been International Women’s Day, celebrating amazing women. I allowed my wonderful Mum to creep back into my head. I allowed myself to say, “I miss my Mum”. It’s not unusual, and I know many women who’d love to have their Mum’s back in their lives. For me though, this last week I’ve allowed myself to reflect on the last few months I’ve had. My husband has had labyrinthitis, and needed caring for for 6 weeks. The boys and I have worked together, and got through pretty well, in the main. It made me realise that we don’t have the support I’d like. My Mum, (and Dad), used to come and stay for a few days at a time and just “be there” and “do stuff”. It was wonderful. It was annoying sometimes as well, I’ll admit that. But having someone to make tea – even just think about it & buy the ingredients, or do the washing was a relief. Since Mum died I’ve had no-one else who’s helped us in this way. I miss it. Am I a big softie who doesn’t want to take on my own family’s responsibilities? I don’t think so, but then I’m happy for you to disagree with me. 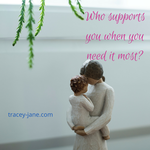 I think we all need support – the right support for us. Throughout our lives this will vary. During this reflection it’s shown me that I don’t have the support I need around me at the moment. We have some wonderful friends and family, and they all did what they could whilst hubby was laid up in bed. However, I now know that I need more. I need more time to look after myself. More time to write, and reflect, and exercise and eat well, and have girly chats, and walk. In my Business Club this month, the focus is on reviewing personal resources. I’ve been asking business owners to check if they have the right support for themselves and their business. Little did I know when I wrote that, that I need to review my own support too! What support do you have around you? I know I’m not alone in hiding, or pretending that loss or grief isn’t there, or doesn’t affect me. I know I’m not ready to lead any training sessions to help others with grief or loss, but I am able to listen to others who need to get things off their chest. When I train a listening course, which is done as a pair of trainers, we listen to each other as part of a live role play to show attendees how listening helps to clear your head. We, as trainers, always benefit from this short listening session. So, I simply need to add in “be listened to” regularly in my diary with a friend, and/or trained listener. 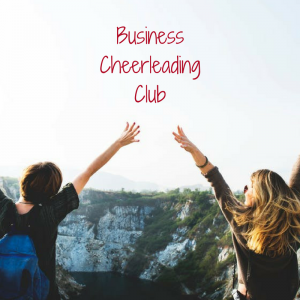 It’s been great in the Business Club this week, where members are supporting each other, and becoming accountability buddies. Hopefully those relationships will allow for “life” stuff to happen, and they’ll support each other in the way each of them needs it. Thank you for listening. I feel better having shared with you. It is a good thing to share – with ourselves, and with others. Don’t hold it in. Don’t hide from it. Whatever you need to do to reflect, and remember, it’s worth it. You will feel better in the long run. If this has raised issues for you, please do what you need to get the right support to help you. I have two good listening ears, Dale is wonderful at helping you journal & Simona helps to mediate solutions. Ask for help from your friends, or network, and if the right support isn’t there, keep searching. Wonderful post, straight from the heart. Time seems to heal these kind of wounds best. Next nine years will be easier.I am talking from experience. What helped me is the idea that the people we have lost would not like us to suffer but move forward. I refer to 2016 as the year of loss…My dad passed in January and my husbands dad passed in December, our year started and ended in grief. I’ve had much experience dealing with grief, I’ve lost many people very close to me, including my younger sister….that’s still a tough one 14 years later. Yet I’ve never realized, until now, that I was grieving a loss of someone that’s still here?!?! You see, like your dad, my mom has changed…so much. I’ve been so frustrated, disappointed and…lost. 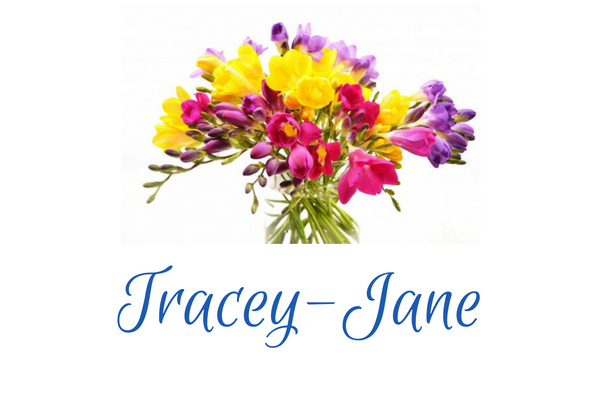 You’ve given me something new to consider here Tracey-Jane. Maybe now that I understand what’s happening with me (grieving my moms change), I can begin to figure this out. Thank you. Thanks Alison. Sometimes it’s easier to find the words on paper than spoken out loud. Thanks Justyna. I agree. I can often feel Mum hugging me and sending me love. It doesn’t always help my head and confusion about working things out. That must have been so hard – 2016. And losing your sister. I can only imagine what that’s like. I hope my words help you find some way of moving forward with your other loss. It’s so hard. I’ve lost others to depression, and those who simply moved out of my life. We need to recognise that, and come to terms with that as part of our own personal journey. Thank you for being so open and honest. Isn’t grief complex? Reading your post made me see I’ve grieved for people who died, but also someone who was still alive (dementia – awful, please can we have a better treatment for that soon?) and a relationship I didn’t even have – a family member who didn’t seem that interested in me as a child, and it seemed such a wasted opportunity after she died. Thanks Helen. I think that’s why I wanted to share. Grief and loss are complex, and we shouldn’t gloss over it. Our feelings are our feelings, and they need to be acknowledged by us, as well as those around us. I was 29 before I realized that I’d lost the mom my mom could be when my dad was alive. After he died when I was 9 she had to become the main everything for our family- solo earner & decision maker. I became the junior mom taking over many of the energetic and household tasks she no longer had time or energy to do. It was then that I understood a prayer in my church for widows and orphans- I’d always maintained that I wasn’t an orphan and resented that prayer as a child. This isn’t hard and I think there are cycles of grief that can sneak up on us at mile-marker ages – when we reach the age our parents were when major events happened in their lives. It is some comfort to me to know that the depth of my loss is a reflection of the value, learning, friendship and love I felt in that relationship.